How many times have you bought music just because the album cover caught your eye? You just looked at the album and said, “now that looks like it is going to be good.” In most cases, my intuition has served me well but every now and then, I have been mislead and learned the real meaning of “don’t judge a book by its cover.” The classic albums have the best covers but, of course, that was during a time when the artists were groomed for success and they were quite stylish. 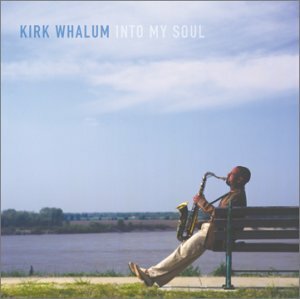 I recently visited Kirk Whalum’s website and found out that his new release, Into My Soul, came out this week. I have been a fan of Kirk Whalum since he was playing with Bob James and on his own early solo projects. His talents on the saxophone shine through whether he is playing pop, soul, jazz or gospel. I looked at the album cover and thought of a quiet place with sunshine, cool breezes, peaceful waters and good music. I have the album on order so you can definitely look forward to a review on it. I just know it is going to be good. This entry was posted on Thursday, July 24th, 2003 at 6:50 pm. It is filed under Music Reviews. You can follow any responses to this entry through the RSS 2.0 feed.